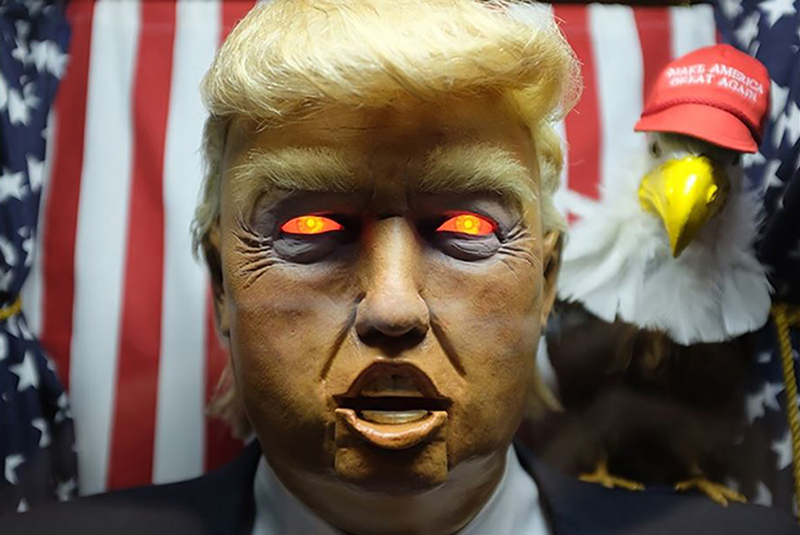 donald john trump is the 45th and current president of the united states, in office since january 20, 2017. before entering politics, he was a businessman and television personality. trump was born in the new york city borough of queens. during the 2016 u.s. election campaign, many artists and celebrities from all over the world were firm in their condemnation of the republican candidate donald trump. his election has resulted in political responses from artists and activists who vocalize the importance of resisting bigotry and racism. 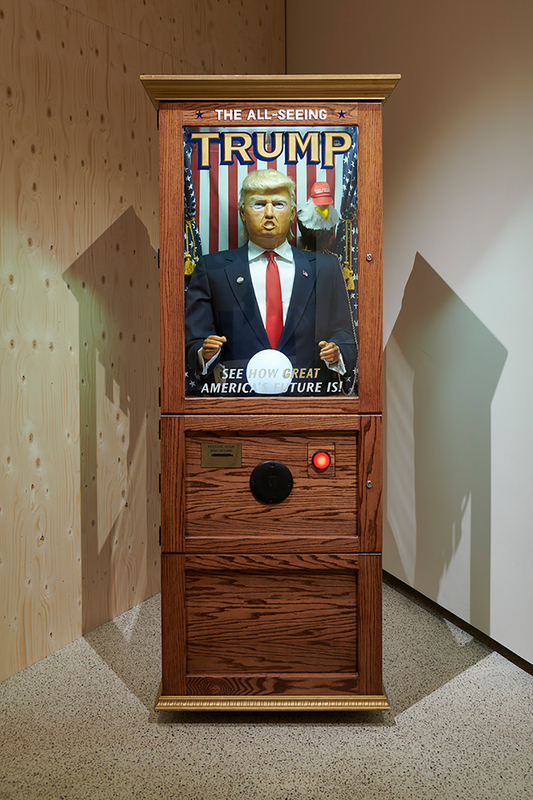 today, through august 12, 2018, the design museum in london is examining the political power of design in an exhibition titled, ‘hope to nope: graphics an politics 2008 — 18.’ the barack obama presidency, the rise of digital media, social networking, the financial crisis, brexit, donald trump’s presidency — these are just a few key events of the past decade, and all the while they were taking place, an explosion of technology gave graphic iconography a new, infinite reach to comment and protest. 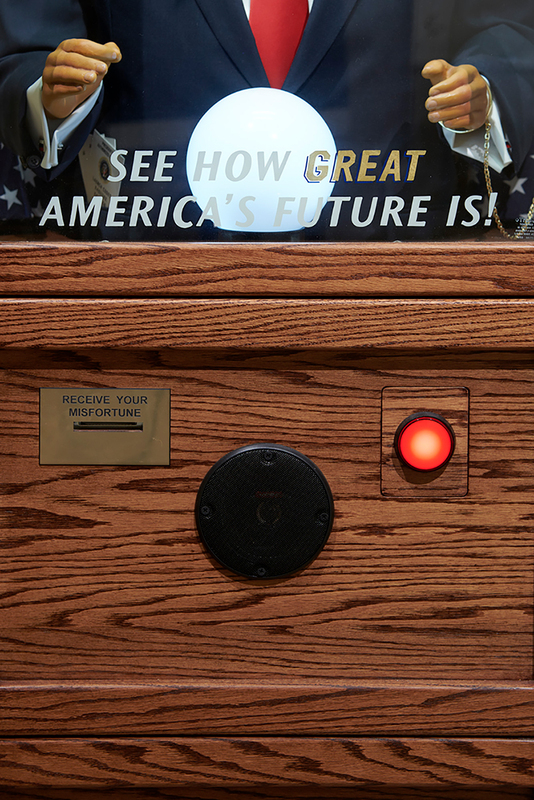 at the design museum, one comment comes in the form of a glass-boxed, red-white-and-blue, scene — an all-seeing donald trump (mis)fortune teller, fit with a trusty eagle sidekick and subtly small hands. the design museum exhibition is comprised of three sections: power, protest, and personality. 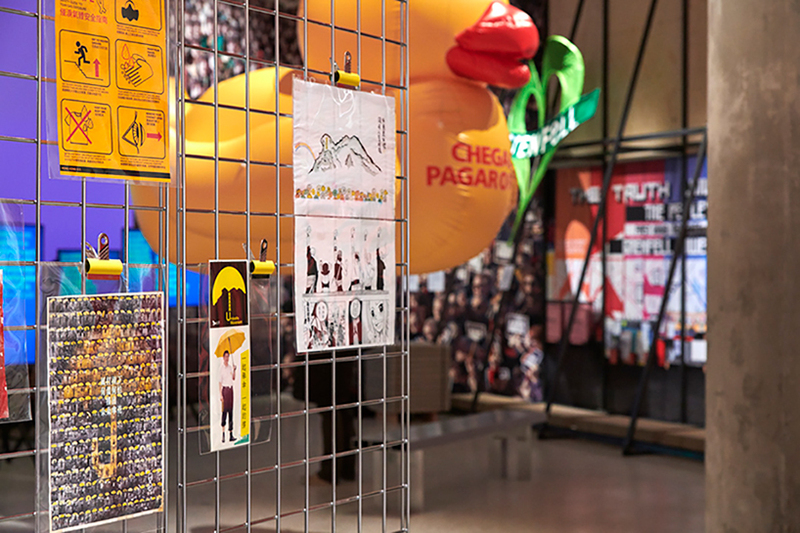 the power section reminds viewers that international establishments and activists use graphic design in order to support their ideologies. 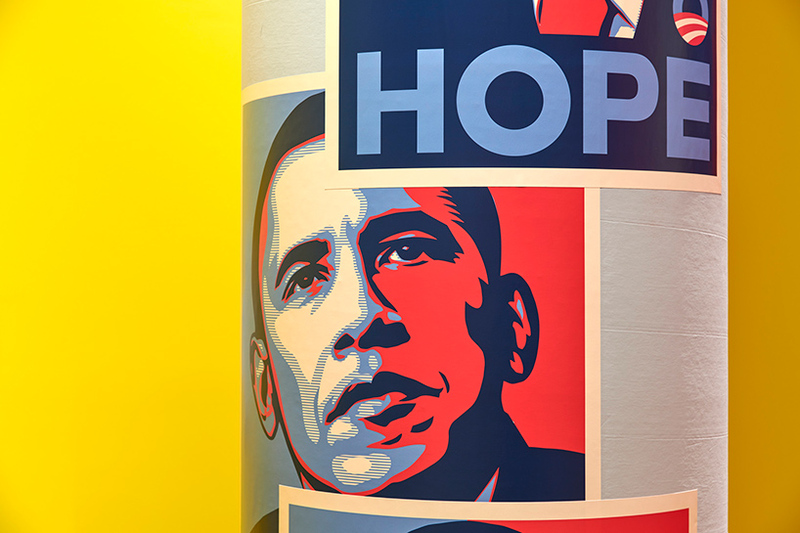 north korea propaganda, the hillary clinton presidential campaign, soviet posters, the black lives matter movement — whether it is used for good or evil, graphic design is a super power in itself. 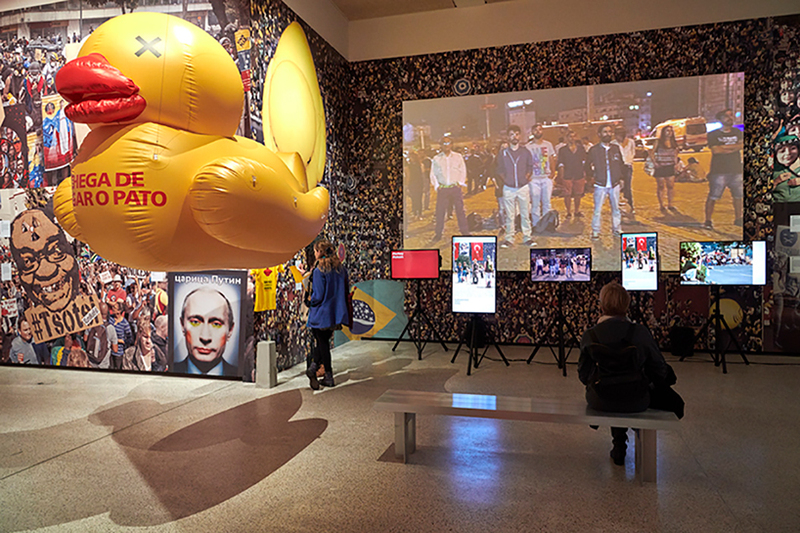 protest — the largest part of the exhibit — features, among many other milestones, newspapers from the occupy london campaign and a 2 meter tall, inflatable ducky straight from the 2016 protests against brazilian president dilma rousseff. 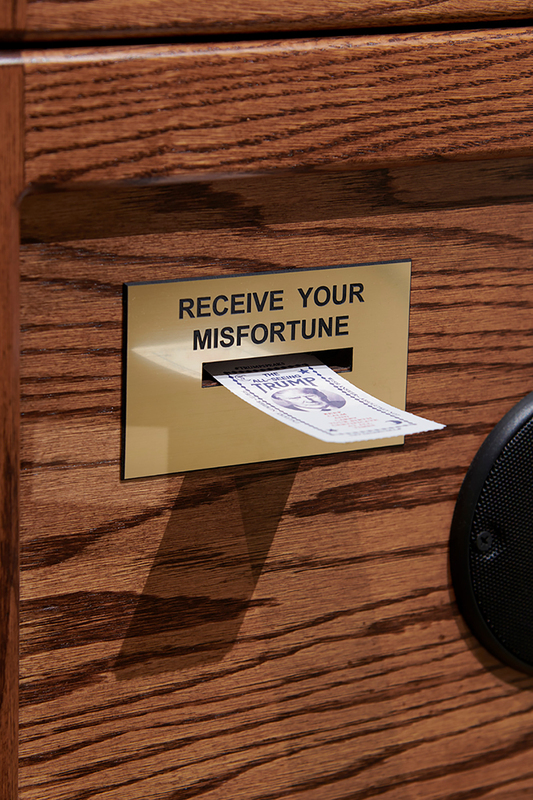 the physical representations of these events highlight graphic design’s ability to channel anger and inspire action. at the end of these two sections comes the final influential chapter of the event, personality. 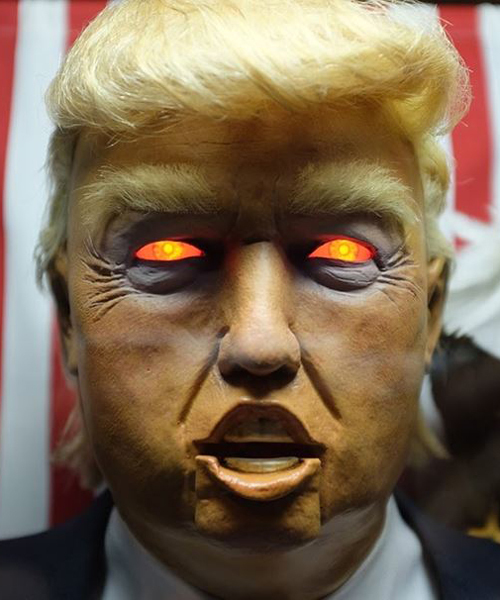 personality features ‘the graphic representation of leading political figures.’ hacktivist group anonymous, jeremy corbyn, and president donald trump are just a few of the political figures who’s personalities have been shaped in protest, by the power of graphic design. 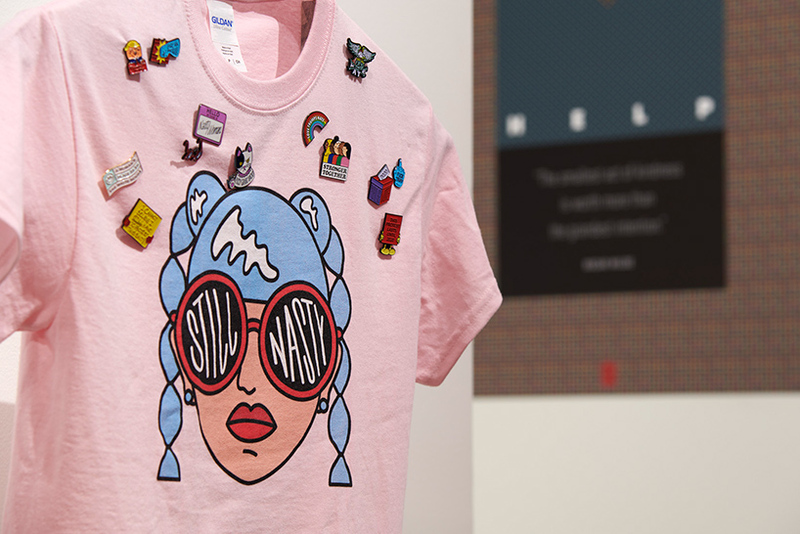 see all of this and more at the design museum’s hope to nope — co-curated by the design museum, as well as lucienne roberts david shaw and rebecca wright of GraphicDesign&.